No federal charges will result from the bankruptcy of the Kingdoms of Amalur studio, but the state investigation continues. The collapse of 38 Studios, the Curt Schilling-founded developer behind Kingdoms of Amalur: Reckoning, was fast, ugly and painful for Rhode Island, which when all is said and done could end up taking a $100 million kick in the junk. There have been no concrete suggestions that criminality, as opposed to simple incompetence, had a role in the studio's downfall, but in June it was revealed that the Rhode Island Attorney General, Rhode Island State Police, the FBI and the U.S. Attorney's Office were conducting an investigation into "activities that have recently come to light," as State Police Colonel Steven O'Donnell put it. The nature of those activities remains a secret but whatever they were, U.S. Attorney Peter Neronha has decided that they're not worth pursuing. A rep said that after a "narrow and focused review" of the studio, the Attorney's office has decided to drop the matter. "No further federal action is planned at this time," he said. Somewhat unsurprisingly, given its deeper and more fiscally pressing entwinement, Rhode Island is carrying on with its own investigation. "It's still being pursued and we follow all leads that are presented to us," O'Donnell said. 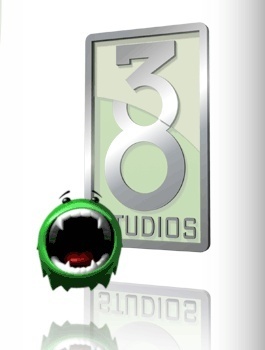 38 Studios collapsed under the weight of debt estimated to be in excess of $150 million, including $116 million in loans, interest and fees owed to Rhode Island. Schilling himself, who claimed in June to be "all tapped out," is facing at least one lawsuit over his studio's failure.